Harry Pennyngton, Earl of Anneslea, is surprised when his estranged wife, Elise, arrives home for Christmas, especially as she is still intent on divorce! The festive house party is in full swing when the guests are snowed in, and Harry and Elise find themselves together beneath the mistletoe. 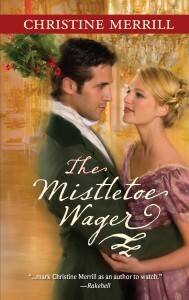 Maybe the magic of Christmas is just what these two need to reignite their love….